If you would like to receive the Wolverine Guard in your inbox every month, you can subscribe at http://minationalguard.com/govdelivery. We are gearing up for XCTC, set to kick off July 12 at Camp Grayling Joint Maneuver Training Center. Units participating in an XCTC undergo lanes training and external evaluation integrated with a high-tech after action review process. Support packages for this type of training can include operational support with scenario development, exercise control, personnel and vehicle tracking devices, instrumented 3D after action review capabilities, administrative communication systems, battlefield immersion (including role players), battlefield effects (using simulated improvised explosive devices), opposition forces, portable village structures, video documentation, logistic support, and other related capabilities. About a week after XCTC winds down, Camp Grayling will once again be bustling with units from across the world for Operation Northern Strike, running August 4 through August 23. Northern Strike 2014 is a National Guard Bureau sponsored Joint Combined Arms Live Fire Exercise emphasizing the Theatre Air Control and Army Air Ground Systems within the Theatre Air Ground System. It blends maneuver, Close Air Support, joint fire support, and air mobility in both major combat operations and limited Operation Enduring Freedom scenarios. Twenty-four units from 12 states and two Coalition partners will participate in the event. 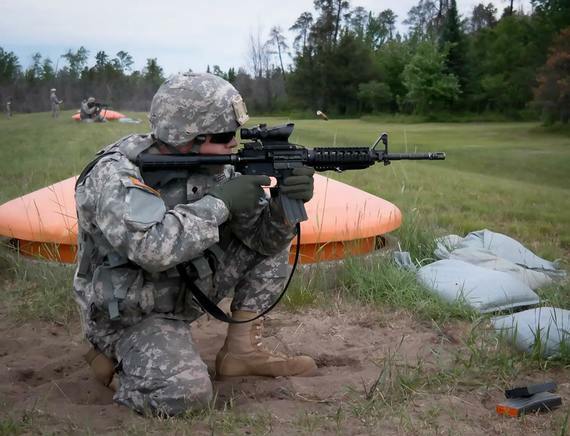 Operation Northern Strike takes place at the Alpena Combat Readiness Training Center and Camp Grayling Joint Maneuver Training Center. More than 300 total force fighter, bomber, mobility, and rotary sorties are planned in order to meet stated objectives for participating units. Summers are always busy in the Guard, but that is when we prove how effective we are as a fighting force. Go Guard! ADAZI, Latvia — The Michigan National Guard Shadow UAV platoon participated with Soldiers from the North Atlantic Treaty Organization member nations of Latvia, Lithuania, Estonia, United States, Great Britain, Finland, Canada, Norway and Denmark in the opening ceremonies for Exercise Saber Strike 14 at Adazi, Latvia on June 9, 2014. The ceremony consisted of member nation forces in formation at the Adazi base parade field, flanked by armored personnel carriers. 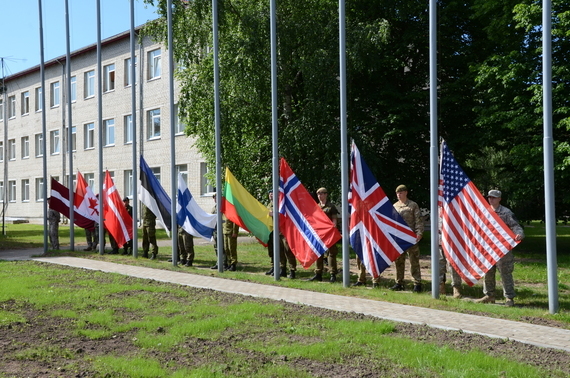 Latvian Ministry of Defense and NATO general officers gave speeches stressing the benefits of joint training and inter-operability of member nations taking part in Exercise Saber Strike 14. After viewing a pass in review, Latvian Ministry of Defense and North Atlantic Treaty Organization member nation public affairs personnel toured the airfield occupied by by Michigan Army National Guard B Company, Brigade Special Troops Battalion, 37th Infantry Brigade Combat Team, Military Intelligence Company (MICO) Shadow Unmanned Aircraft Systems platoon. The Latvian MOD and NATO PAO representatives were briefed on the capabilities of the RQ-7B Shadow aircraft and UAS platoon by Chief Warrant Officer 2 Jimmy Huck and Capt. Mark Wurth. After the briefings, an RQ-7B Shadow aircraft was launched by the UAS platoon, allowing Latvian MOD and NATO PAO representatives to view, photograph and video record the launch. “It is exciting to launch our first flight at Adazi on the opening day of Sabre Strike. Now we have flown the Shadow UAV from three locations in Latvia, the new airfield at Lielvarde, the abandoned airfield at Vainode and the improved gravel surface at Adazi. The range of conditons we have operated from demonstrates the capabilites of the Shadow UAV system,” said Capt. Mark Wurth. After the launch, the Latvian MOD and NATO PAO representatives departed to visit other units participating in Saber Strike 14 training events. Saber Strike is a U.S. Joint Chiefs of Staff (JCS)-directed, U.S. European Command (USEUCOM)-scheduled, U.S. Army Europe (USAREUR)-led theater security cooperation exercise that will be conducted at locations throughout the Baltic, including the Riga and the Adazi training areas in Latvia. The exercise will consist of a host nation-supported command post exercise (CPX), a brigade-level CPX/computer assisted exercise (CAX), and a field training exercise (FTX) with a situational training exercise (STX) component. The exercise will feature the integration of U.S. close support with partner nation ground forces and a demonstration of air deployment of forces and equipment. Saber Strike 14 will be conducted June 9-20, 2014. Story by Sgt. 1st Class Jim Downen, Michigan National Guard. For more on Saber Strike, visit here. 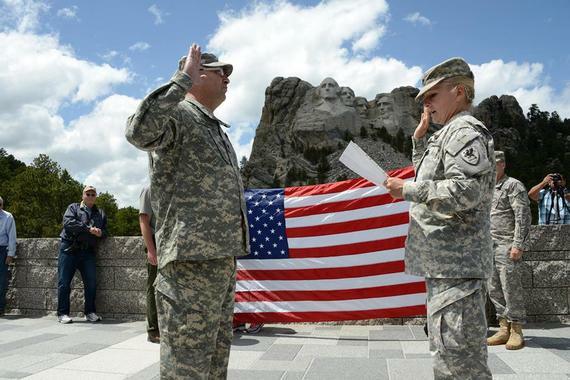 Lt. Col. Beth Peters, Executive Officer for the Michigan Army National Guard's 272nd Regional Support Group, administers the oath of reenlistment to Staff Sgt. James Lancaster at the Mount Rushmore National Monument near Rapid City, S.D. June 14th, 2014. The 272nd RSG and some of its elements are in South Dakota supporting Operation Golden Coyote. "It's the Army's 239th birthday, it's Flag Day, and I'll never have another opportunity like this to reenlist," said Lancaster. After the oath was administered, members of the unit and 300 onlookers sang the National Anthem. 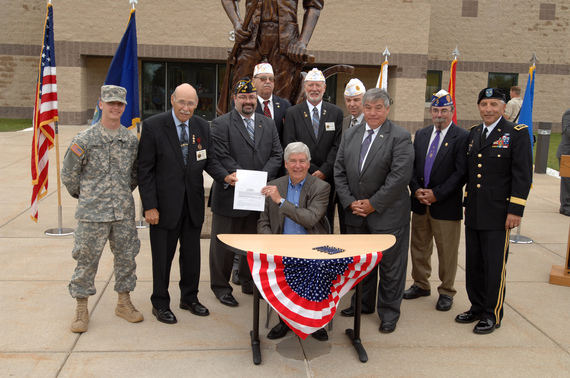 Distinguished guests from the State of Michigan, city of Lansing, and leaders of the Michigan National Guard cut the grand opening ribbon of the Service Member, Veteran, and Family Assistance Center during a ceremony at Joint Forces Headquarters, Lansing, Mich., June 25, 2014. The SFVAC is considered "one-stop shop" for service members, veterans, retirees, and families. The intent of the center is to simplify the process of accessing services and support. The facility is located at 3423 North Martin Luther King, Jr. Blvd in Lansing. Remember these 10 safety tips as you enjoy your 4th of July celebrations with friends and family! 1. Never use fireworks in your home. Always set them off outside on a driveway or sidewalk. 2. Obey local laws. If fireworks are not legal where you live, do not use them. 3. Always have water handy. (A hose or bucket). 4. Be aware of other people around you and make sure they are out of range of the firework you are using. 5. Never point or shoot fireworks at another person. 6. Use common sense. Spectators should keep a safe distance from the shooter and the shooter should wear safety glasses. 7. Do not try to re-ignite a “dud” as it could explode near your hands or face. 8. Only light one at a time. 9. Do not try to make your own fireworks. 10. NEVER drink and use fireworks at the same time! As always, if there are any suggestions to improve the Wolverine Guard, you can direct your feedback to our Public Affairs Office.